Buyers feel relief with the price improvements and an abundance of listings. In July, for the entire residential market (single family and condos), there were decreases in nearly every catagory, including new listings, homes sold, average median sold prices and overall sales volume. The only catagory showing an increase was active listings, up to 9.89 percent compared to the month prior. "Who needs a national political convention for entertainment when we get to experience the Denver Metro real estate market?" said Anthony Rael, Chairman of the DMAR Market Trends Committee and Denver real estate agent. "July was an interesting month overall as so many seasonal factors converged, pushing nearly every statistical catagory into the red zone." He adds, "The one and only catagory that showed an increase at month's end was active listings. As mortgage rates continue to be rediculously low, it's a good time to get buyers in the car and go shopping because there is an abundance of listings to quench the thirst of those who were beginning to grow weary over the past few months." It is important to note, however, that although overall inventory is up month-over-month, this was the lowest July on record for active listings, down slightly (0.3 percent) from the previous record set in July of last year. Treat the family or office to a baseball game at Coors Field for a great way to spend a hot day! Join Heart of Art in Denver's Golden Triangle for more than 30 innovative are galleries and artist's studios showcasing the impressive wares of nationally renowned talend and regional up-and-comers. There is something for everyone at City Park, Denver's largest park. Take your pick from the several lakes, mountain views, public golf course, flower gardens, and a hiking and jogging trail. One of the most well-known real estate mantras your real estate professional will tell you is this: “If you overprice your home, it will take longer to sell and it will sell for less money.” Yet, many sellers believe their homes can defy market physics. Overpricing seldom works because buyers search for homes online according to their loan qualifications. If their ceiling is $500,000, they’re not going to search for more expensive homes, and your home won’t be found by the buyers who are most qualified to buy it. When buyers can afford more, they’ll compare your home to other homes in the same price range and your home may fall short in features, location or condition. Search price increments vary depending on scale. Buyers use $10,000 increments for $100,000 homes and $100,000 increments for million-dollar homes. 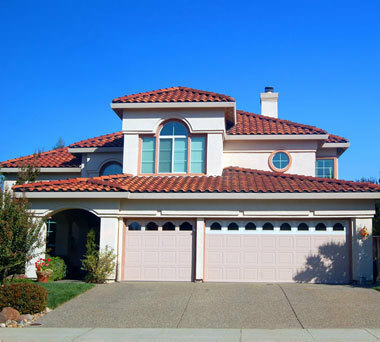 Pricing just over a logical range end point like $255,000 or $505,000 will exclude that home from some search results. If you price just under a range end point, like $498,000, your home will be seen by the buyers who are most likely to buy your home. While some buyers’ search in higher price ranges than their rounded end point, their intention is to offer less, so that makes setting a higher price for your home counterproductive. Your best chance of selling your home quickly for the highest price possible is to attract buyers who see your home as well priced. You’ll attract more serious buyers who make higher offers with fewer negotiations. Trust your Berkshire Hathaway HomeServices professional to show you how to make your home the best choice in any market. Homes with all-white kitchens look great in magazines, but a recent survey found they’re not popular with homebuyers because of upkeep. So, before you paint your kitchen, replace your countertops or install new cabinets, use these helpful hints to make your kitchen more appealing as well as more user-friendly. Set the tone. Think about your kitchen’s functionality and personality. Dark walls or cabinets tend to be more elegant and formal. Bright colors are cheerful, playful and family-friendly. If you like white, add some soft color in a glass backsplash. Gray areas. According to Lowessemployees.com, the most popular colors and materials in kitchens floors are gray, charcoal or espresso ceramic, stone and hardwood. Quartz, not granite. 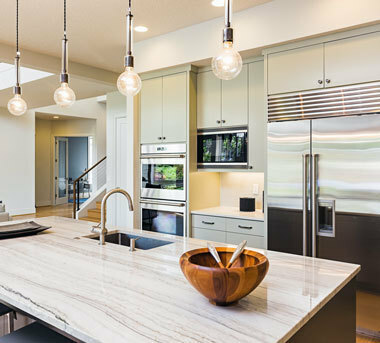 Manufactured quartz is the leading countertop material, according to the National Kitchen and Bath Association. Quartz is tougher, easier to maintain, offers numerous colors and patterns, mimics the high-end look of granite, and it’s more earth-friendly. Colorful appliances. Houzz.com reports that bold color in sinks, backsplashes and accents is replacing neutrals. You can get a Viking range in orange, or go retro with Elmira Stoveworks’ faux-1950’s appliance, in turquoise. Clean lines. Flat-panel or Shaker-style door treatments help streamline the kitchen. Choosing shelves in place of a few upper cabinets allow pretty dishes, glassware, and wall paint to show. Light. More windows and light never hurt, but you’ll also need task lighting, whether in overhead lights, track lighting, pendant lights or under cabinet lights. How much are you planning to put down on your next home? If you say 20 percent, you could be living in the past. Since Fannie Mae and Freddie Mac introduced 3% down mortgages nearly two years ago, the product has gained in popularity. The three-percent mortgage, also known as the Home Possible Advantage program, allows first-timers and other qualified homebuyers to get into a home much sooner and allows homeowners to take their remaining down payment monies to use for other purposes – savings, furnishings, student loan payments, etc. Anytime the down payment is less than 20 percent, borrowers should realize that their monthly payments become more significant. You’re financing a larger amount, which raises your debt profile and your financial risk if you want to finance other things like vehicles or college. 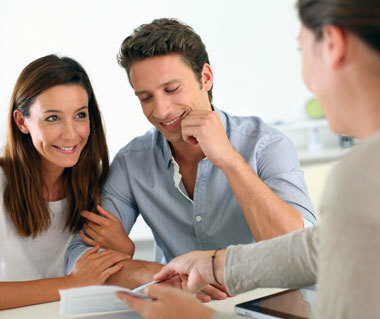 Fannie and Freddie require borrowers to purchase private mortgage insurance (PMI). While that raises the monthly payment, it makes low down payment loans attainable, allowing more people to enjoy homeownership. Along with mortgage interest, PMI payments are tax deductible for long-form filers. Last, PMI can be discontinued when the loan is either five years old, or if rising home prices have allowed the borrower’s equity position to reach 20 percent. Building equity, which is like a homeownership savings account, takes time. You can build equity by paying down your mortgage, by improving your home, and by allowing home appreciation to work in your favor. But you have to be invested to get this major benefit of home ownership.